In today’s digital photography world, images are made as much in post-processing as they are in the camera. We only get one chance at creating the image in the camera: the choices we make to compose the image, focus, expose, and fire the shutter at just the right moment are behind us the instant the shutter is released. But the choices we make after the fact, using image processing software such as Adobe Lightroom, can be revisited as many times as we wish. Because Lightroom is a non-destructive editor, meaning it keeps the original image file intact and just records the editing choices we make in its catalog, we can return to the image again and again, making slightly or entirely different choices. When I return from a trip, I try to select the best raw image files and apply some post-processing within a few days. That’s so I don’t agonize endlessly about creative choices, which would severely increase the turnaround time for sharing the images with the world. But increasingly I find it is a good practice to return with a fresh eye to images I made some time ago, applying some different post-processing choices to render the image differently. 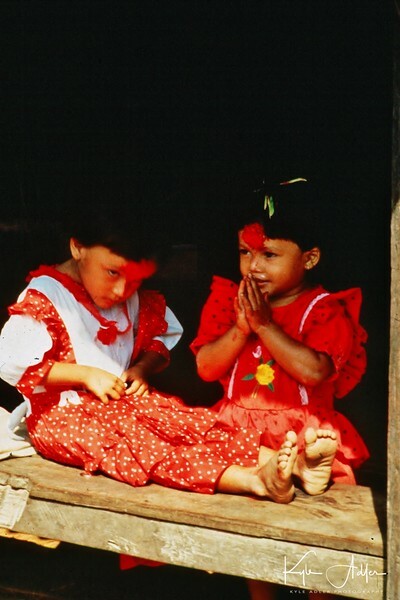 The images are very old and were shot using film in the pre-digitial era. In this scenario, scan the transparency (slide), negative, or print and then apply post-processing to the digital scan. 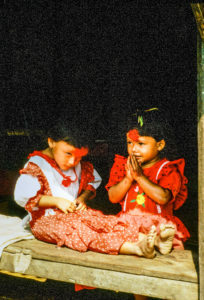 Here’s the original scan of a 35mm color slide (transparency) shot during a 1991 trek in Nepal’s Anapurna region. The image is grainy and the background behind the girls’ heads is distracting. I decided to clean it up a bit using Lightroom. The images were shot digitally but were made before I started routinely using image-processing software such as Lightroom. In these cases, I like to apply post-processing to see what artistic options I may have missed in the earlier digital years. 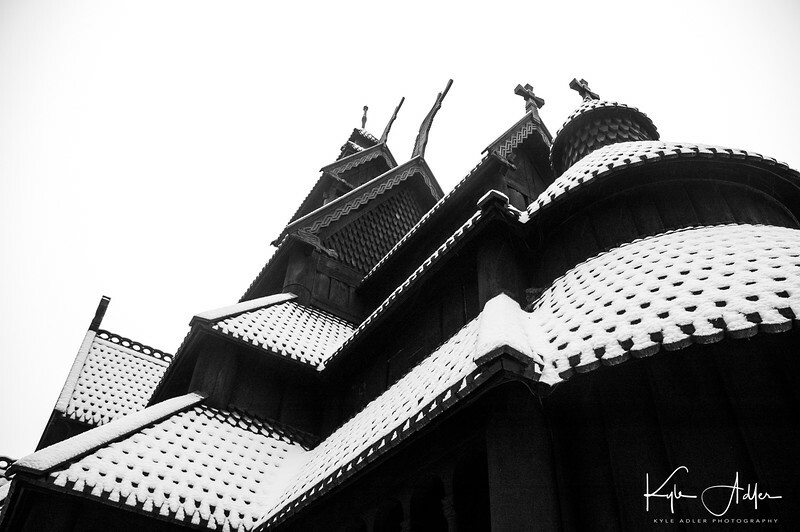 This old Scandinavian stave church was shot as a color image in 2005. It is so high-contrast that it appears nearly monochromatic on the display screen. It’s a striking image, but looking at it today I wondered how much more effective it would be as a true black-and-white photo, so I decided to revisit the image using Lightroom. The images are more recent, but I want to make some new creative choices. Here the idea is to render the image in a different way to achieve a different end result. For example, an image I initially processed in color may turn out to make a lovely black-and-white photo. Or perhaps I crop a crowd scene to emphasize just one or a few of the people within it. The choices are nearly limitless. Reviewing my favorite images from a recent trip to New Orleans, I saw this shot of a characteristic French Quarter balcony and realized it would be even more powerful if certain colors were more saturated. Take a look at some of your older images. Which ones would you like to revisit and give a fresh new look? Do you regularly return to work on your library of existing images? Please share your thoughts here.